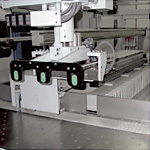 In June 2005 a modern BAUMANN-WOHLENBERG Cutting-Line has been put into operation at „Kasimir Meyer“. 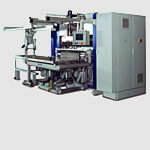 This new and ultra-modern cutting-line replaces the former POLAR cutting-line. The main intention at „Kasimir Meyer“ was to increase the efficiency of the cutting process, the perfect preparation of the materials for the printing process being the main requirement. As the existing space was rather limited, BAUMANN was challenged to realise an ultra-modern space-saving cutting solution. BAUMANN MASCHINENBAU SOLMS. 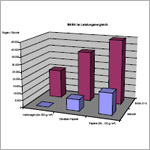 No manual lifting of heavy materials, perfectly precise jogging results, completely automatic transport, cutting and unloading of jogged materials, These are the components, the different BAUMANN-WOHLENBERG-cutting-systems are composed of. 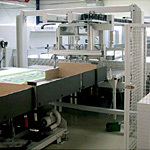 The systems are available with different degrees of automation. „te Neues“ makes an investment for the future. Following the company’s decision to process large-format material in future, te-Neues has decided to invest into an increased automation of their finishing department, by buying a new cutting-line. In close cooperation with te-Neues, BAUMANN Maschinenbau Solms has designed a cutting system, which meets exactly the customer’s needs. 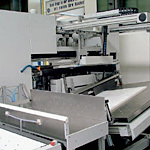 The cutting-line has especially been designed for large-format production and guarantees an sensible increase in productivity within the finishing department. In summer, a new fleet of machines has been put into operation at Staudigl-Druck GmbH & Co. KG, Donauwörth, well-known for their poster and calendar production. Next to a MAN-Roland 900 XXL (format 130 cm x 185 cm) and a MAXIMA finishing line, Staudigl-Druck has also got a completely new BAUMANN-cutting-line XXL as well as a large-format BAUMANN pile-turner. BAUMANN presents the new automatic jogging system BASA. 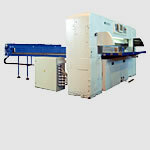 The whole graphic industry has taken every effort to reduce the costs for the pre-press and press-sector during the last few years. The highest degree of automtation ever achieved has made this cost-reduction potential possible. So far, the third column within the printing process, the „post-press-sector“, had not participated in this automation-movement. Due to this, many companies working in the finishing sector still have got difficulties to guarantee a cost-covering production. Large Format Production. For „ARIAN“, Gleisdorf (Austria), BAUMANN Maschinenbau Solms GmbH & Co. KG has built a „one-of-a-kind-cutting-system“ for a maximum format of 4,20 m. This largest cutting-system world-wide starts a new era for the finishing process of large-format materials. POST-PRESS SECTOR. 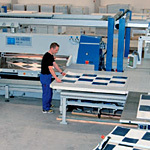 During their open house in June 2006, BAUMANN Maschinenbau Solms is going to show fully automatic jogging systems, large-format cutting-lines and pile-turners for the XXL-format.